General fee for parking on the territory of Manila International Airport is PHP 50 ($0.94) for the first 2 hours and PHP 300 ($5.64) for the overnight stay. Moreover, the car shall be registered with security personnel so that the one could leave it for a night. Terminal 1 has three open paid parking areas: A, B and C. First two (A and B) have a combined capacity of around 500 cars. 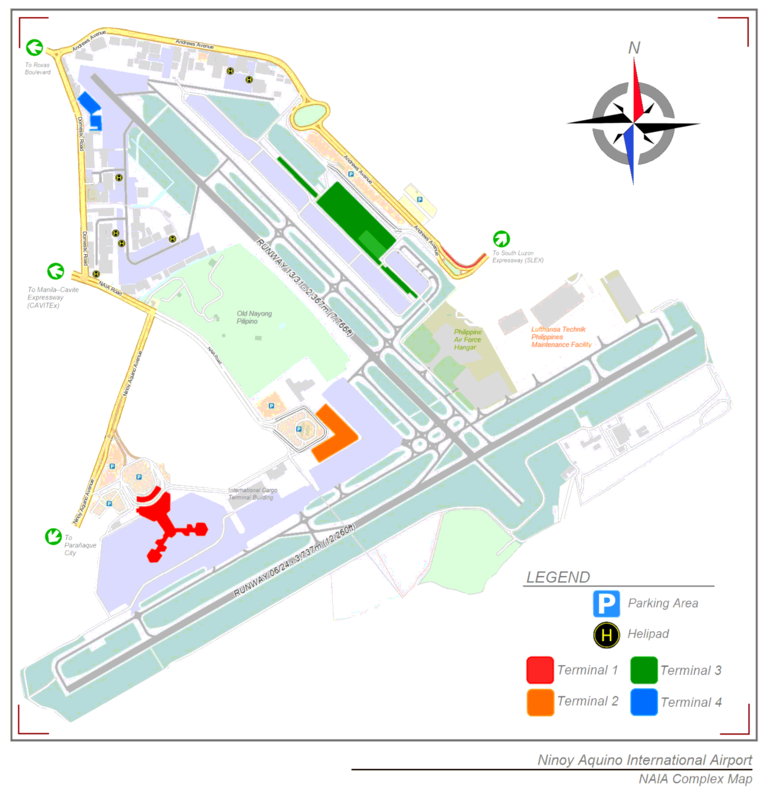 Parking C is located a bit further from the terminal and is mainly used by the airport taxis. Terminal 2 has two open paid parking areas:1 and 2. Their combined capacity is over 1000 cars, however, the 2nd area is occupied by airport taxis mostly. Terminal 3 has covered multi-level parking area with the capacity of over 2000 cars. Open car park area is available as well with the capacity of around 1000 cars. A multi-level car park is made up of 5 levels, where the top levels, 4 and 5, are intended for officials and employees of the airport. The parking fees vary depending on the time the car was left there: PHP 50.00 ($0.94) for less than a day, PHP 300.00 ($5.64) for leaving the car overnight. For losing the parking ticket the fee of PHP 500.00 ($9.41) will be taken. Terminal 4 has one open car park with the car capacity of around 155 vehicles at a time. The one may enter and leave the car park by crossing the footbridge.